The British-Norwegian cello ensemble Tre Voci performs a repertoire ranging from transcriptions of medieval and renaissance vocal music to contemporary commissions. Members Torun Stavseng and Gregor Riddell tell us more about their London performance at Union Chapel on 7 February, their collaboration with pianist and organist Kit Downes and their fascination with Gamelan music. What ideas and themes are you hoping to showcase at Union Chapel? Torun Stavseng is principal cellist of Aurora Orchestra. Torun: We are exploring the use of three cellos with other sounds in unconventional combinations, in a celebration of resonance. The sound of three cellos is complex and interesting. On the surface, it’s the same language as a string trio – made up of violin, viola and cello – which harks back to the classical regality of Mozart, Beethoven and Schubert; but, three cellos somehow sound darker and more homogeneous, as if ‘electrified’. This sound is perhaps less ‘balanced’ than the traditional instrumentation, but more capable of blending with sounds outside its family. Gregor Riddell studied music at Cambridge and composition at the Royal College of Music. He lives both in London and Oslo. Tell us a bit about the background of your new EP. Torun: The record is a microcosm of the music we’ve worked on since our formation five years ago and in contrast to a lot of other work I do, say, for example, with Aurora Orchestra where we play notated orchestral and chamber music. With Tre Voci, we play medieval/renaissance choral music in tandem with new music with an emphasis on timbre often explored through improvisation. We aim for the contrasting styles to be given equal emphasis in order to evoke a musical timelessness that we, as a group, are naturally drawn to. With the opening and closing tracks by members Colin and Gregor respectively, the second and forth works by Josquin des Prez (1455-1521) and Johannes Ockeghem (1425-97) sandwich the central piece by Kit Downes written specifically for the group as well as himself on hammond organ. We have chosen this order to present the pieces as seamlessly as possible, both in their tonal centres and character whilst also highlighting their differences. For striving to achieve these paradoxical demands on record, we are ever grateful to our mastering super hero, Mr Alex Bonney! Why did you decide to collaborate with Kit Downes in this latest project? Composer/pianist/organist Kit Downes was winner of the BBC Jazz Award 2008. Gregor: Colin and I went on music courses together as teenagers that cemented our friendship centred around a love of music, talking about it, showing off, improvising and a general propensity to wind up people in positions of authority… I was aware at the time that Colin went to school with Kit and started to take an interest in his playing when he first collaborated with Mica Levi, who I also met around that time in a similar setting. 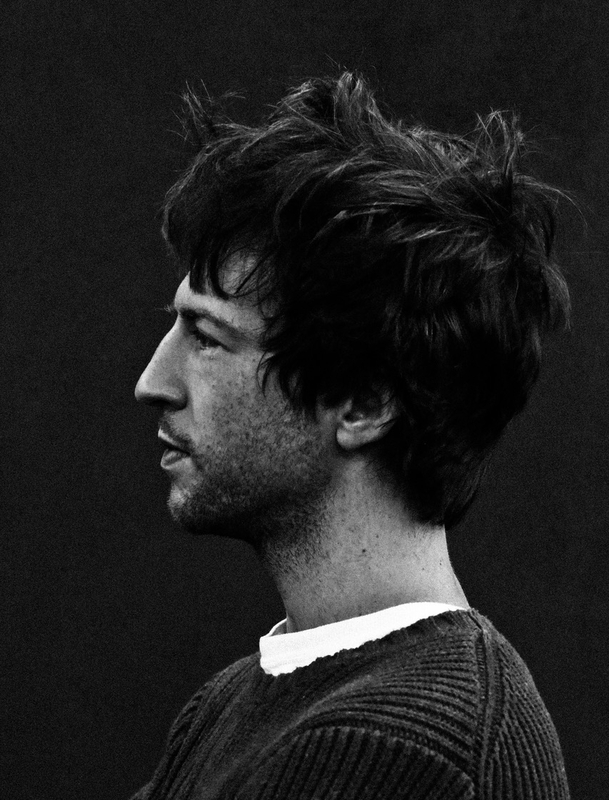 I listened a lot to Golden in 2009 and was particularly drawn to Tom’s Tune: it seemed so effortless and the voicing both clear and warm at the same time. He came to mind when I started putting on gigs at the Union Chapel bar in Autumn 2014 and felt that a collaboration between him and Tre Voci would feel natural. Although, when it finally happened, the first rehearsal was a total nightmare… we completely underestimated the rhythmic dexterity of his music and wrongly presumed that we could rock up and sightread it! The gig was, regardless, a lot of fun in the end! 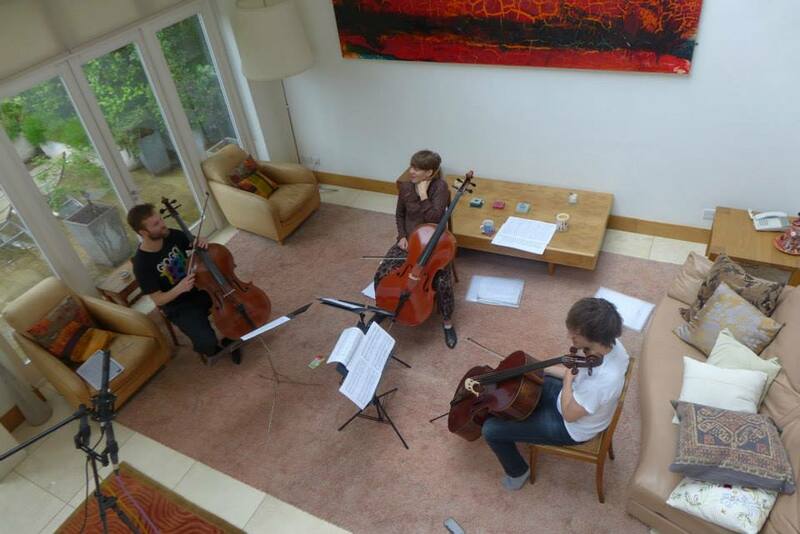 How will it work, fusing the cello trio with Kit's organ music? Bryn Harrison's To Shadow was written for organ, cello trio and gamelan instruments. Torun: Tre Voci has worked with Kit on various occasions, so we know more what to expect and the work we’ve commissioned by Bryn Harrison is a through-composed score. Since there is more emphasis on timbre, I expect we’d need to think a lot about how the cellos blend with the organ and Gamelan and take into account the spacing and acoustic in the church. As a Norwegian musician, I’m also conscious of the interrelated drone-like qualities of the organ and cellos as heard in the folk traditions of my culture and how this would influence our performance at Union Chapel. The one practical concern I have about this gig is how we’re going to coordinate with the Gamelan players and Kit when we won’t be able to see them! I guess we’ll find out soon! Have any of Tre Voci’s inspirations been from Gamelan music? Gregor: I’m pretty obsessed with bells and pieces of metal that resonate, in general; in that respect, I’m directly influenced by these characteristics in Gamelan music. I find bells fascinating because they resonate differently from other pitched instruments and the effect I experience is often warm, peaceful and transcendental, searching for something spiritual… in hope not to sound too esoteric! I feel there is a grey area of experimental, ambient electronic and various eastern musical traditions, such as Gamelan, that overlap in their musical concepts. Particularly in terms of timbre and rhythmic systems that transform subtly over longer time periods, these genres relate and complement each other. It’s as if the sound of Gamelan can be reflected in the organ and cellos and vice versa and could also be said of the improvisation techniques adopted by Tre Voci as well as music by Kit, Colin, myself and Bryn. 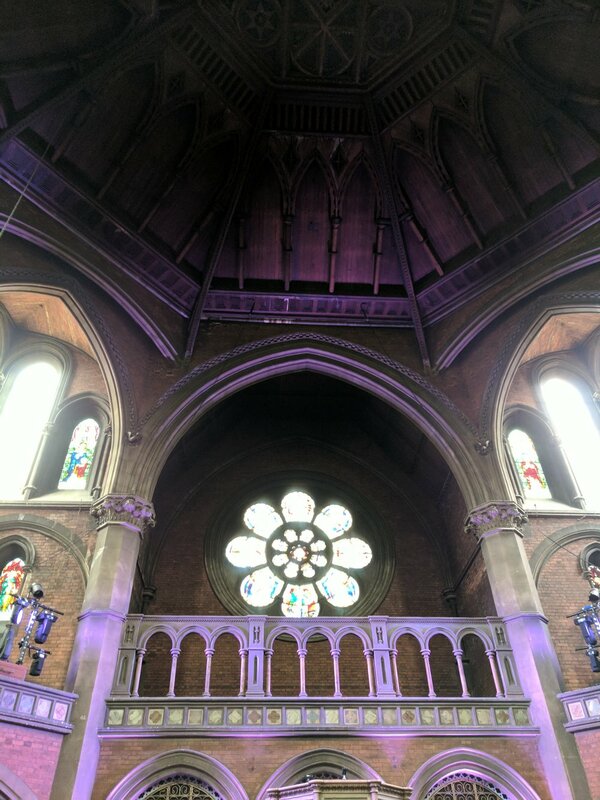 How are you going to use the amazing space at Union Chapel to create a visually enticing performance? Torun: The transcendental qualities of Gamelan music, in particular, lend itself well to an innovative use of light and space. It’s as if we want the audience to be transported into a kaleidoscopic, illusory realm playing with their sense of space, time, light and sound. We will position the Gamelan players on the main stage whilst Kit will be hidden behind the organ and the cellos symmetrically dispersed in the corners of the chapel, with the aim to create an interplay with the sound reflections against the stone walls. There will additionally be a guest appearance from cellist/singer Laura Moody, who will also not be visible to the audience. What’s next for Tre Voci? Gregor: After the Union Chapel performance and EP release, we will start planning our third and final co-produced event between Tre Voci and Nonclassical. This is a collaboration between Tre Voci, the 12 Ensemble and Mica Levi… aside from knowing that Mica’s going to, very likely, write us a gloriously anarchic and awesome piece for all the 15 of us, the rest is a pretty open book right now – we’ll keep you posted! We recorded our performance at the ICA performance in December, which we’ll release in the coming months as a digital download ‘live’ album. We plan to also tour the material from our Union Chapel gig in both the UK and Norway where we’re looking to perform it in a dramatic natural space. David Stephen Grant recently composed the film score for the Norwegian film Når Jeg Faller (When I Fall) written for Tre Voci, which will be released in cinemas in March. Working more with sound and image is something we’d like to develop further in the future. Tre Voci will be performing at Union Chapel on 7 February together with Kit Downes, Laura Moody and the Southbank Gamelan Players.